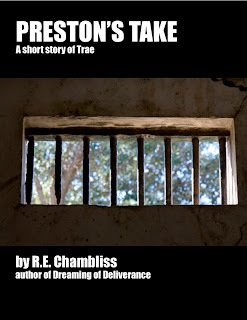 Stories of Trae: Available as e-shorts! Every time I release something I get nervous. It's an anxious, exposed feeling which I detest. So that's probably why I haven't blogged yet about the two new short stories I have up at Amazon, Barnes and Noble, and Smashwords. But I've gathered my courage, and now I can finally write about them here. And you can read them, if you'd like some more insight into the world and the characters of Dreaming of Deliverance. Both stories stand on their own, so you don't need to have read DoD to follow them, but they also provide glimpses of what's happening in Trae and what's made Lindsay who she is at the beginning of the novel. The stories don't need to be read in any particular order, but I'll describe "Preston's Take" first. Preston was Lindsay's boyfriend at the time of her arrest and this is his story—where he describes what happened and why. This is one of those stories that I'm reluctant to claim as something I wrote. Do people like Preston really live inside my head? I guess they do! I wasn't sure what Dreaming of Deliverance fans would think of it either, because it's quite different from the tone and style of DoD. No journeys to Trae, for example; the whole thing takes place in the real world. But it does tell us a lot about Lindsay herself and how she ended up in prison. And I've had a good response from the beta readers. Some said that they even understood what Lindsay saw in Preston, which pleases me because even jerks have their appealing qualities! 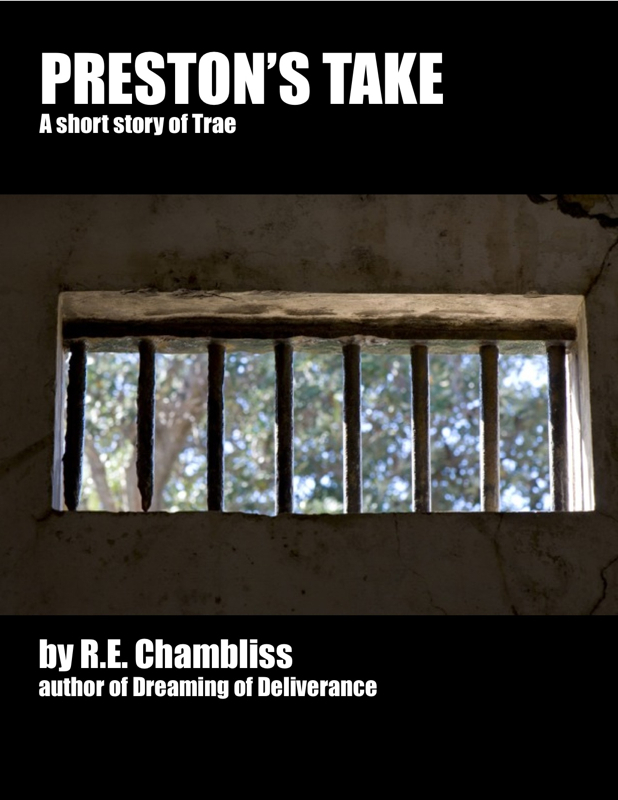 "Preston's Take" costs 0.99 and you can read it on your ereader, phone, ipad, or computer, and purchase it from Amazon, Barnes and Noble, or Smashwords. I look forward to hearing your thoughts on it. The second story is more similar to Dreaming of Deliverance, even though Lindsay only appears briefly in it. "Forbidden Fruit" is about Anne right before she becomes a Lead. Anne is one of my favorite characters. 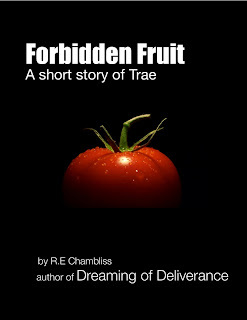 Life wasn't easy for her, and she isn't a very nice person in her day-to-day interactions with people, but there are good reasons for that, and you can find a lot of them in "Forbidden Fruit". Then there's Reg, whom you'll meet in this story. He's also going to appear in the still unnamed sequel to Dreaming of Deliverance, and getting to know him through writing "Forbidden Fruit" opened up my imagination and helped me figure out a lot of things that happen in that next book. This is the story where you can return to Trae: to a new community this time—Stanlo, which I can see as vividly in my mind, as I can Parl and Guin. 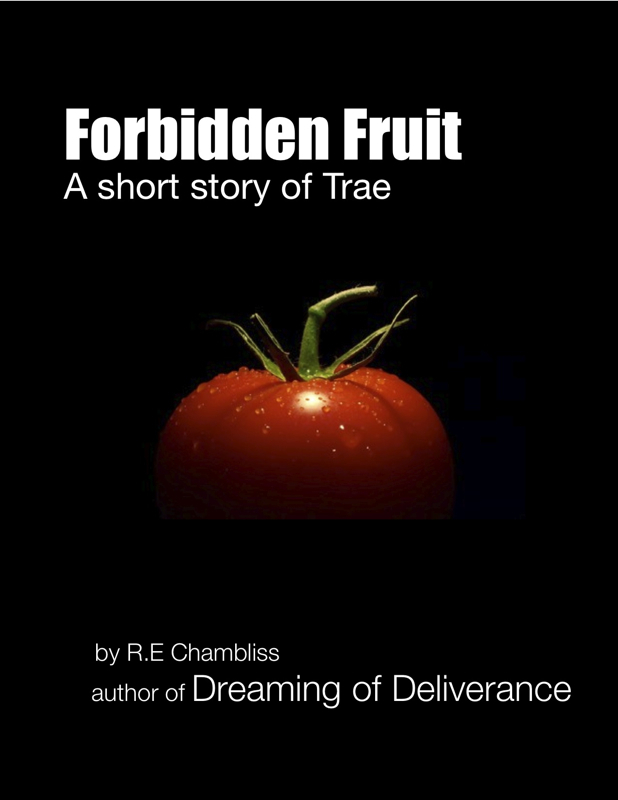 Forbidden Fruit is also 0.99 and is available at Amazon, B&N, or Smashwords. I'm going to produce and sell both stories in audio as well. The audio versions will also be 0.99 each and as soon as they're ready, I'll let you know where you can find them.